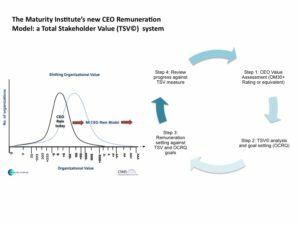 London, 6 February 2017: The Maturity Institute (MI), in conjunction with OMS LLP, releases today its CEO remuneration model: a unique CEO valuation and remuneration system developed from MI’s ground-breaking framework and its highly rated exemplar organisations. 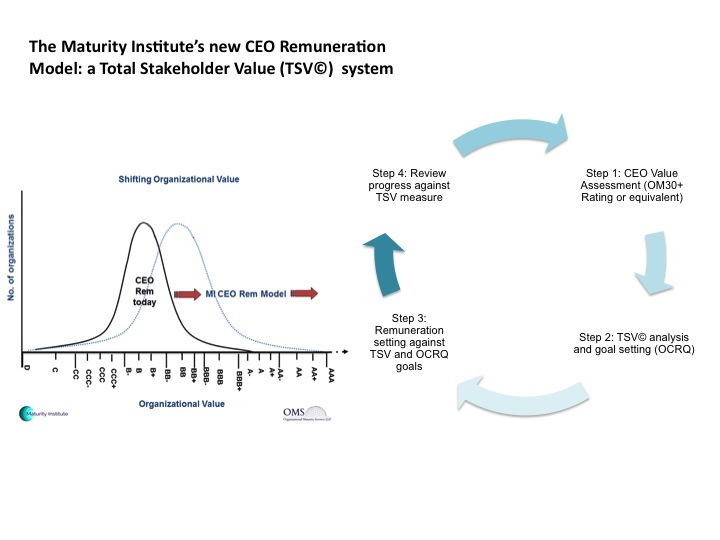 An objective, independent assessment of CEO Value based on the MI approved and globally recognised OMINDEX©* ratings methodology. *OMS LLP’s OMINDEX© provides a unique perspective on company value creation, linking effective human governance with higher material value and lower risk. **Price-to-Book ratio is market value divided by book value where market value is synonymous with market capitalisation and book value with net asset value.